Audio cassettes were very popular in the 1970's and 80s. They were a cheap way of being able to record performances by groups and aritists when performing practice sessions, gigs, or playing concerts. You could use simple home cassette recorders with built in microphones or externally connected mics to record a session. In radio's you could easily record broadcast programs and radio interviews. They also carried pre-recorded music and audio story books, but these were superceded by CD. We transfer the data to computer digital audio files like mp3 or to audio cd you can play in the car or home cd players. If you need a Audio Cassette Tape Conversion service, then contact our friendly company. 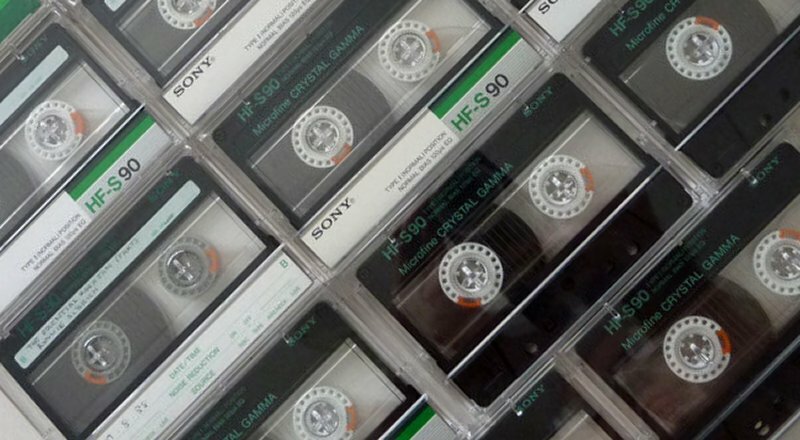 Audio cassettes were very popular in the 1970's and 80s. They were a cheap way of being able to record performances by groups and aritists when performing practice sessions, gigs, or playing concerts. You could use simple home cassette recorders with built in microphones or externally connected mics to record a session. In radio's you could easily record broadcast programs and radio interviews. They also carried pre-recorded music and audio story books, but these were superceded by CD. We transfer the data to computer digital audio files like mp3 or to audio cd you can play in the car or home cd players..